Here’s a promo item that is great for business customers. 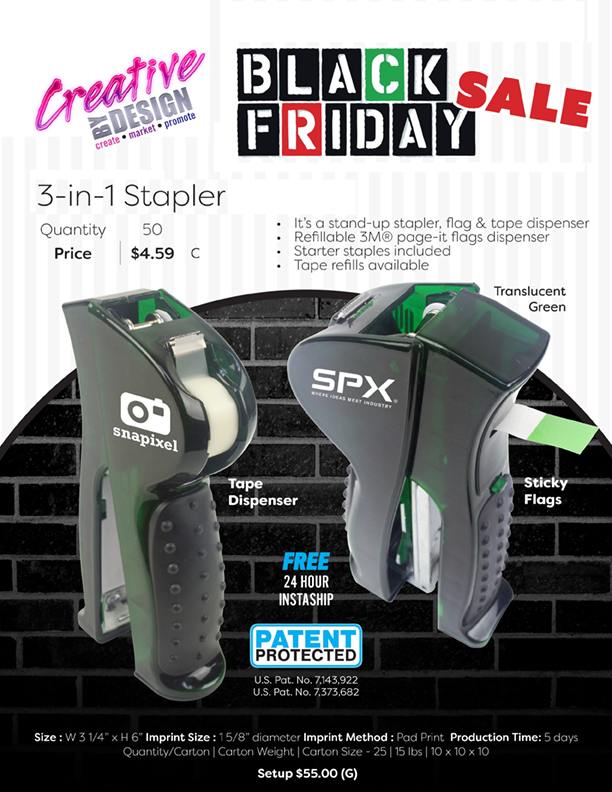 Keep your company name in front of your clients every day with this 3-in-1 stapler. Call 951-226-5617 to order yours today. Don’t wait! Quantities are limited!